Know what to wear whenever you travel to places, shop from Utsav Fashion and fall in love with the tremendous array of ensembles and accessories for traveling to cold, temperate and warm places. Choose from stylish Pakistani Suits, ensembles in Abstract & Geometric prints, experiment with your fusion wear, Monochrome attires, Shawls, Scarves, Ethnic Jackets and Handbags. Get versatile, comfortable, fit and uber chich Pakistani Suits that are ideal for travelling in Georgette, Cotton, Art Silk, Net, Chiffon, Crepe, Brocade and more fabrics. 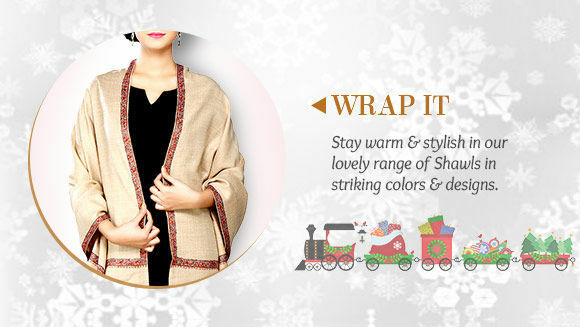 Fill your closets with Sharees, Shalvar Suits, Lahagas, Indowesterns in stunning Abstract prints. These prints are super quirky, chich and vibrant and find them embroidered in Zari, Resham, Stone, Beads and Sequins. Experiment with your fusion wear and make a brilliant style statement of your own. 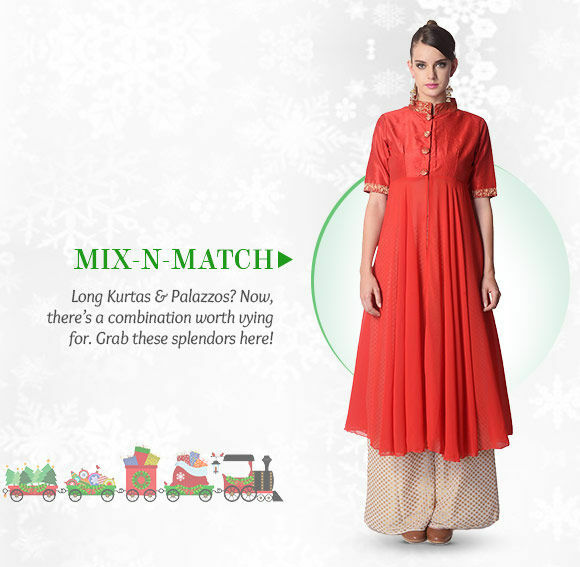 Wear Long Kurtas with Palazzos, Tunics with Skirts, Crop Tops with Leggings, Tops with Patialas. We have these in Abstract, Block, Floral, Geometric, Digital, Paisley, Foil prints. Get a dose of Saris, Salvar Suits, Lehngas, Indowesterns, Kids wear, Mens wear and Blouses in the very in-trend Geormetric Print. 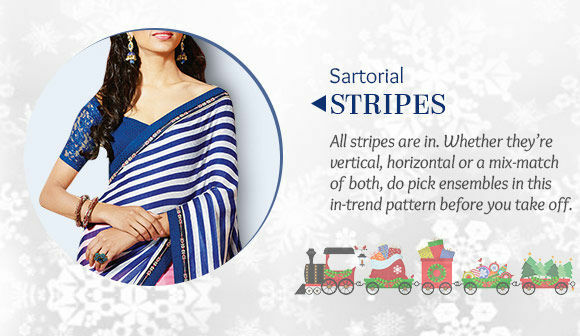 Choose your stripes; vertical, horizontal or mix of both on your ensembles. 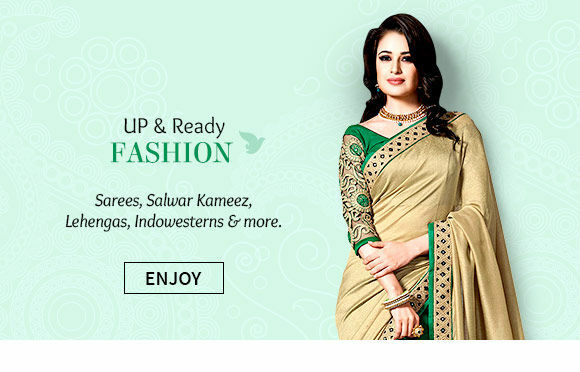 Indulge in a stunning array of Kurtas, Printed Sarees, Straight cut, Anarkoly, Punjabi Suits, Embroidered Shalwar Kameej, Half N Half Saris, Circular, Indowestern Lahagas, Menswear, Kids wear and Jewellery. Warm and stylish, these shawls, scarves and stoles in Geometric, Digital, Abstract, paisley, Block, Floral,and Tie & Dye prints or patterns. and ideal indowestern accessory for the winters. 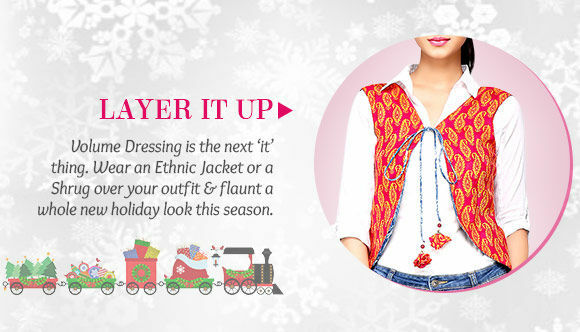 Choose to put on an ethnic Jacket, Cardigan, Shrugs or Capes over any outfit annd see it change in style. 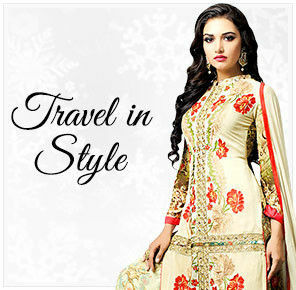 Get these attires in Resham, Zari, Gota work, Buttons, Sequins and Applique embroidery.